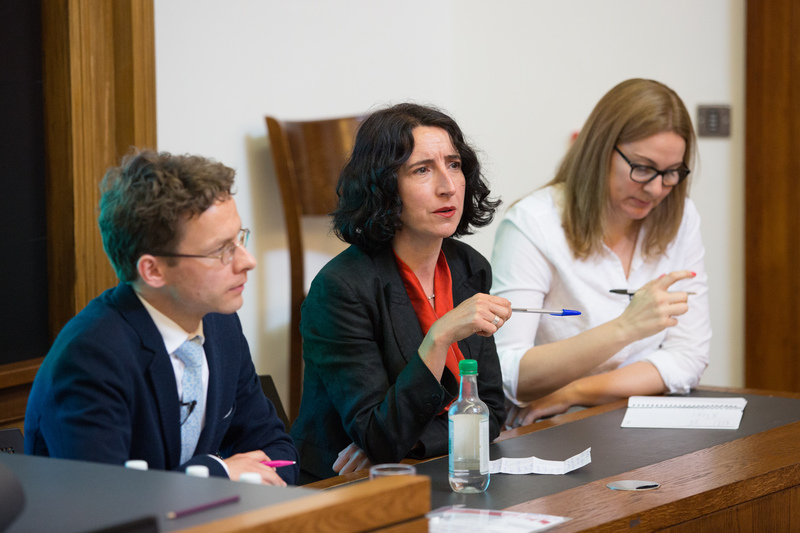 On Monday 22 May the Constitution Unit hosted a debate on the Fixed-term Parliaments Act. Against the backdrop of an early general election and a Conservative manifesto promise to scrap the Act, Carl Gardner and Professor Gavin Phillipson (Durham) argued the merits of the Act and the potential legal implications of its repeal. Kasim Khorasanee reports. The Fixed-term Parliaments Act 2011 was enacted under the Conservative-Liberal Democrat coalition government to regulate when general elections were held. Previously general elections were required at least every five years but their exact timing was a matter of royal prerogative, in practice exercised by the Prime Minister. The Act fixed the length of each session of the House of Commons, unless an early general election could be called. The Act set out two mechanisms to call an early general election. The first – which was relied upon to call the 2017 general election – required at least two thirds of the Commons (434 MPs) to vote in favour of an early general election. The second was triggered if a no confidence motion was passed by the Commons and not reversed within 14 days. Carl Gardner, a former government lawyer, led the defence of the status quo ante. He began by highlighting the risks in allowing politicians the freedom to redraw constitutional rules – both in terms of unintended consequences and selfish intent. The Act was a key case in point. Nick Clegg, as Deputy Prime Minister, had made the case for the Act by suggesting fixed terms would bring greater stability to the political system and allow politicians to focus on governing by removing the distracting uncertainty around election timings. In practice the intense speculation over whether Theresa May would call a general election in late 2016, followed by her surprise announcement to do so in mid-2017, had demonstrated the flaws in Clegg’s arguments. Gardner drew attention to David Laws’ book 22 Days in May which underlined the fact that the Act had been drawn up as a calculated political compromise designed to stabilise the coalition government in power. Gardner went on to argue that the British constitution’s complexity and nuance had been underestimated by reformists. He noted that the Prime Minister had never been able to call elections ‘on demand’, they had always required the monarch’s explicit authorisation to do so. Furthermore there had never been popular discontent at the calling of elections or any suggestion of Prime Ministers ‘abusing’ their powers in doing so. The Act had also introduced uncertainty with respect to no confidence motions. Firstly, it was unclear whether in the 14 days after a statutory no-confidence motion the Prime Minister would be under a duty to resign, or whether they would be free to work to reverse the motion. Secondly, votes which previously might have been understood as matters of confidence – budgets, the Queen’s speech, going to war – appeared to have been stripped of this effect. Whereas Tony Blair understood losing the 2003 Iraq War vote would have meant resigning, David Cameron happily carried on after losing the 2013 Syria intervention vote. Gardner suggested that the duty for Prime Ministers to resign once they had lost the confidence of the Commons had been eroded by the Act. Finally, on the legality of repealing the Act, Gardner asserted that where common law or prerogative powers were overridden by statute, revoking the statute would have the effect of ‘reviving’ the previous common law or prerogative. In support of this he cited the High Court decision in the famous GCHQ Case (R v The Secretary of State for Foreign and Commonwealth Affairs ex parte Council of Civil Service Unions and another  IRLR 309 ). Although legislation such as Section 16(1) of the Interpretation Act 1978 appeared designed to prevent this reviving effect, it could be overridden by a clear expression of parliament’s will. On 15 May Scottish Conservative leader Ruth Davidson delivered this year’s Orwell Prize Shortlist Lecture, co-hosted by the Constitution Unit. In the lecture Davidson set out a distinction between ‘patriotism’ and ‘nationalism’, arguing that although many political movements try to ensure that they get confused the two are profoundly different from one another. Thomas Romano reports. The Orwell Prize is Britain’s most prestigious prize for political writing, awarded every year since 1994 in three categories: one for the best political book, the others for journalism and for ‘Exposing Britain’s Social Evils’. The Prize is awarded to the authors who come closest to Orwell’s ambition ‘to make political writing into an art’. On 15 May the shortlists for the 2017 Prize were announced, the last step before the proclamation of the winners on June 15. The event for the shortlist announcement was co-hosted by the Constitution Unit and the Orwell Foundation with the annual Shortlist Lecture given by Scottish Conservative Leader Ruth Davidson. The choice of Davidson was in some ways surprising. As she herself noted in her speech, Orwell was ‘a man of the left’. As a matter of fact, Davidson was the first Conservative politician to give the shortlist lecture. Joking, she said that she did not expect him to agree on the choice. In her speech, however, Davidson chose to draw inspiration from one of Orwell’s works that she could relate to. She drew inspiration from an essay written by Orwell in May 1945, in the immediate aftermath of the Second World War, called Notes on Nationalism. Here, Orwell speculates on some of the driving forces behind the nationalisms, and describes some features of what Davidson named the ‘politics of identity’. As leader of the Scottish Conservative Party, Davidson campaigned for Scotland to stay in the UK in the 2014 Scottish independence referendum, and her party has more generally been a historic supporter of the Unionist case in Scotland. This has placed her in sharp contrast with Nicola Sturgeon’s Scottish National Party. 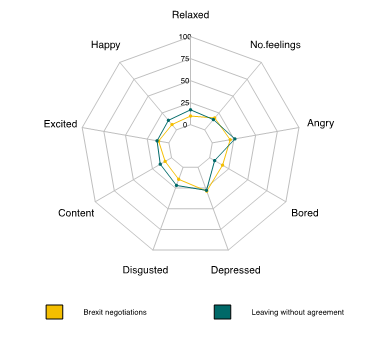 Brexit presents parliament with daunting challenges, both politically and procedurally. In this post Arnold Ridout, Counsel for European Legislation at the House of Commons, highlights some of these and explains what steps are being taken to held ensure that parliament performs its role effectively. The post is adapted from a talk he gave at a Constitution Unit seminar on ‘Brexit at Westminster’, held on 13 March. As Counsel for European Legislation in the House of Commons I can be called upon to assist the House or any of its select committees on EU law matters. I have a formal role with the European Scrutiny Committee and the Committee for Exiting the EU, both of which have standing orders explicitly providing for assistance to be given by Speaker’s Counsel. For this purpose I generally represent her. I do not know if it is fair to say that parliament as an institution was as ready for the referendum result as the government was. There was a good deal of uncertainty at that time as to the very basics, such as the Brexit process itself and even more as to what role parliament would play. In some ways that might be regarded as an advantage; by leaving a clear field on which parliament could put down its markers, and influence at an early stage the formulation of the process and the policy. On the other hand it created the risk of lack of focus or focus on the wrong issues. In particular, it was unclear what tools were available to parliament to exert its influence. This remains the case to a certain extent. The government has now committed to putting ‘the final deal that is agreed between the UK and the EU to a vote in both Houses of Parliament’. This is important as having a final say on the outcome could give parliament a real handle on the negotiations. However, if the Article 50 notice is not revocable, or revoked, then the choice for parliament looks like ‘deal or no deal’. Five eminent lawyers disagree and have gone as far as suggesting not only that the Article 50 notice is revocable, but that a further act of parliament is required to either agree the deal or authorise the UK’s departure from the EU without any deal. If correct it means that parliament has a further, and unilateral, chance to decide whether the UK leaves the EU or not even after the Article 50 notice has been served. The government has committed to ensuring ‘that the UK Parliament receives at least as much information as that received by members of the European Parliament.’ We do not yet know with certainty what that entails, and in particular whether it includes something similar to the arrangement in trade negotiations whereby the European Parliament receives ongoing explanations as to how its view has been put into effect during negotiations.